Canine lung cancer can be primary or metastatic. Primary lung cancer refers to tumors that originate in the lung. Primary lung cancer in dogs is rare but aggressive. Most primary lung tumors are carcinomas (often adenocarcinomas). That means most primary tumors in the lungs are cancerous. On an x-ray of the chest, the primary tumor appears as one large solitary mass. Metastatic lung cancer originates in other parts of the body such as a leg bone, the mouth, or the thyroid gland, but has spread to the lung through the bloodstream. Metastatic lung tumors usually present themselves as multiple masses. 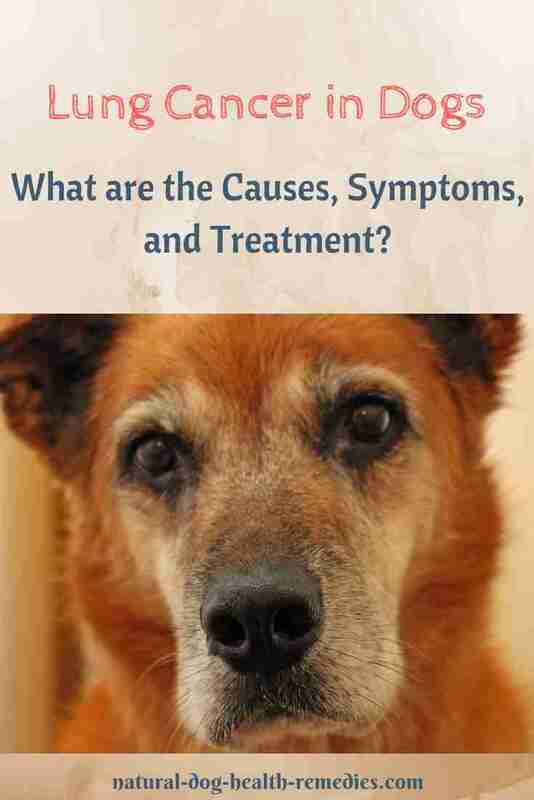 Usually there are no symptoms in the early stages of canine lung cancer. When the cancer has progressed further, one hallmark symptom is a non-productive chronic cough (i.e. the dog is not coughing up mucus) although the cough may produce small amounts of phlegm or blood. Difficulty breathing (dyspnea) - This occurs when the tumor is large enough to cause compression of the trachea. Dyspnea associated with lung cancer can also be caused by excessive fluid accumulation around the lungs (pleural effusion). Lameness - This occurs when the cancer metastasizes to the limbs. 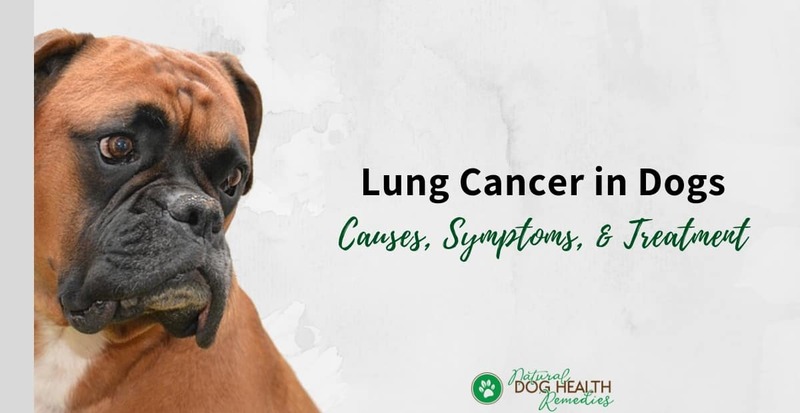 Like other canine cancers, primary lung cancer can spread to other parts of the body and organs, including the bones, and the lymph nodes in the upper chest area. Adenocarcinomas tend to spread to the central nervous system. For primary lung cancer, many veterinarians now believe that exposure to second-hand smoke is one of the causes. In one study, it was found that dogs living in households where there are smokers have a 60% greater risk of developing lung cancer than those living in a smoke-free environment. Dogs with short noses such as pugs and Pekinese are particularly at risk because their nasal passage is too short to prevent the inhaled second-hand smoke carcinogens from reaching the lungs. Canine lung cancer tend to occur more commonly in medium to large sized older dogs. It can affect dogs of both genders and all breeds, although as mentioned above, short-nosed dogs are at higher risks of developing lung cancer caused by cigarette smoke. In dogs, on average, most primary lung tumors are diagnosed at the age of 10 to 12 years old. If a dog shows signs of lung cancer, a preliminary diagnosis is usually done with chest x-rays. The vet will look for the presence of any lung tumors, the size of the tumors, as well as fluid in the chest cavity. If a tumor is seen, the veterinarian will recommend a fine needle aspirate and biopsy of lung tissue in order to determine if the tumor is cancerous or not. In the case of primary lung cancer, surgery is the primary treatment. However, depending on the size and location of the tumor, complete or even partial removal may not be possible. In such cases, depending on the type of tumor, chemotherapy or radiation therapy may be recommended in addition to surgery to prevent the spread or re-growth of the cancerous tissues. In cases of metastatic lung cancer, surgery is ruled out. Instead, metastatic lung cancer is treated with radiation or chemotherapy. Life expectancy naturally depends on the stage of the cancer and whether it has spread. If a dog has a single primary lung tumor that has not spread to the lymph nodes, he has an average survival time of 12 months. If, on the other hand, the dog has multiple tumors, or if the cancer has spread to the lymph nodes, the life expectancy is only about 2 months. Don't Rule Out Natural Remedies! Treating dog cancer does not have to be "either" (conventional treatment) "or" (alternative treatment). They can actually go hand-in-hand. It is in fact advisable to treat cancer holistically, incorporating both conventional and complementary treatment options such as herbs and supplements. 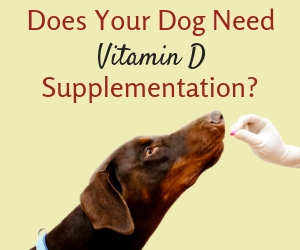 Visit our pages on Herbs for Canine Cancer and Dog Cancer Diet for more information.